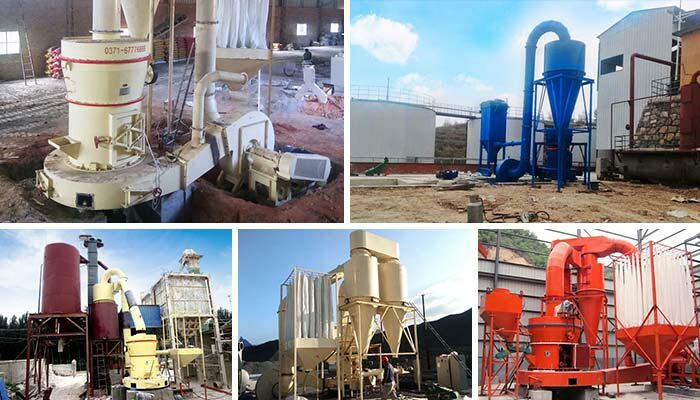 Processing ability:2-120t/h Feeding size: ≤15-≤30mm Product granularity: ≤15-≤30mmAppliable Materials:Quartz, feldspar, calcite, talc, barite, fluorite, rare earth, marble, bauxite, manganese ore, iron ore, copper ore, iron oxide red, slag, grain slag, clinker, active carbon, granite, iron oxide yellow, bean cake and chemical fertilizer. 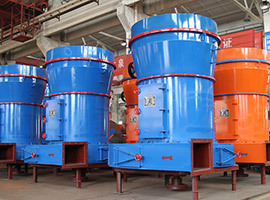 The Raymond mill or the Raymond grinder is a kind of grinding plant used widely to grind materials in the industries of metallurgy, construction materials, chemical engineering and mining. 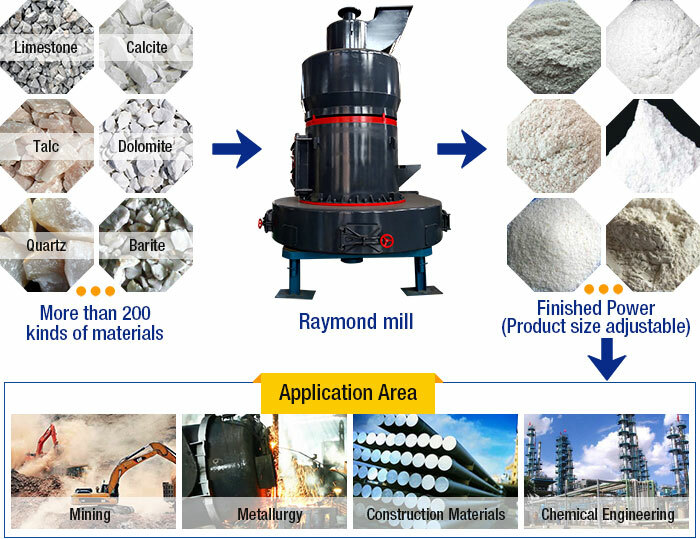 Raymond mill can process the non-flammable and non-explosive materials with the mohs hardness of smaller than seventh grade and the humidity less than 6% such as the gypsum, talc, calcite, limestone, marble, potash feldspar, barite, dolomite, granite, kaolin, bentonite, medical stone, bauxite, iron oxide, iron ore etc. 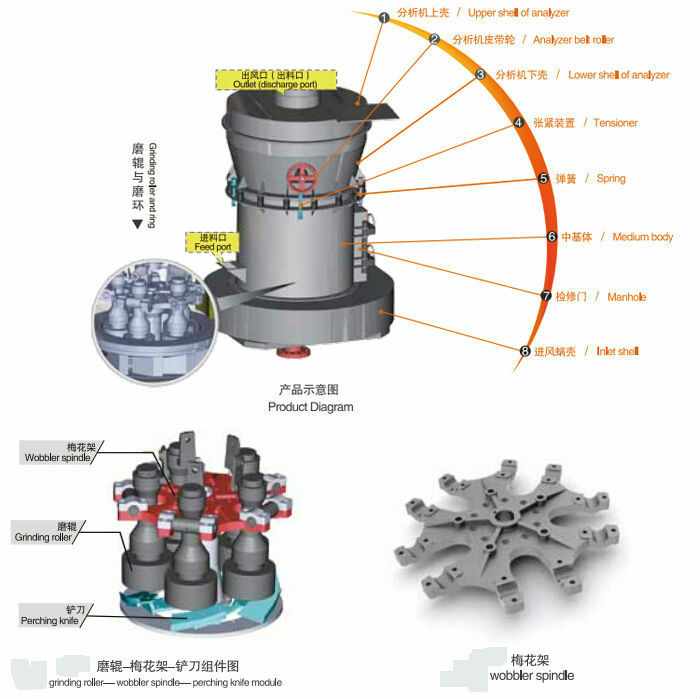 The fineness of the finished products is between the 0.613mm-0.44mm range. 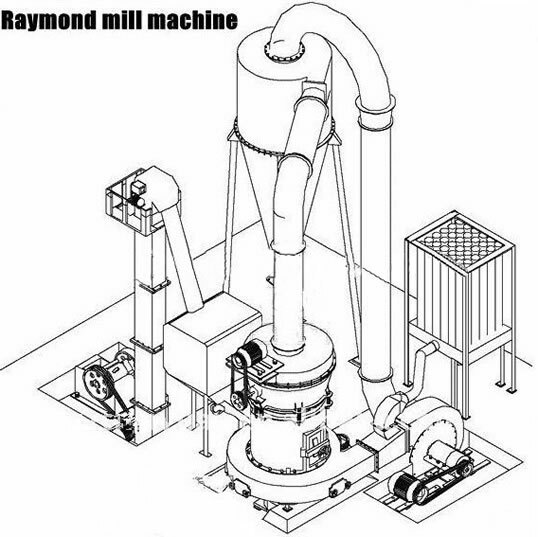 By working with the analytical machine and the fan, the Raymond mill can meet different requirements from customers. 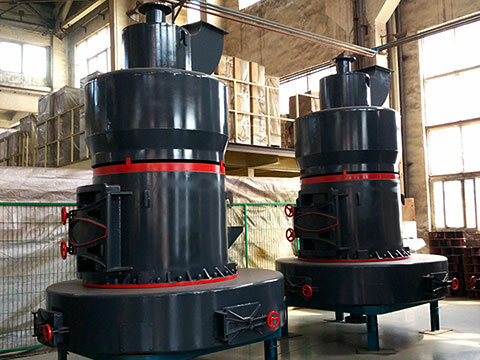 The jaw crusher breaks the bulk materials to the required particle size, the bucket elevator will convey the materials to the storage bin and then the magnetic vibrating feeder will transport the materials to the main body of the Raymond mill or raymond grinding mill uniformly. 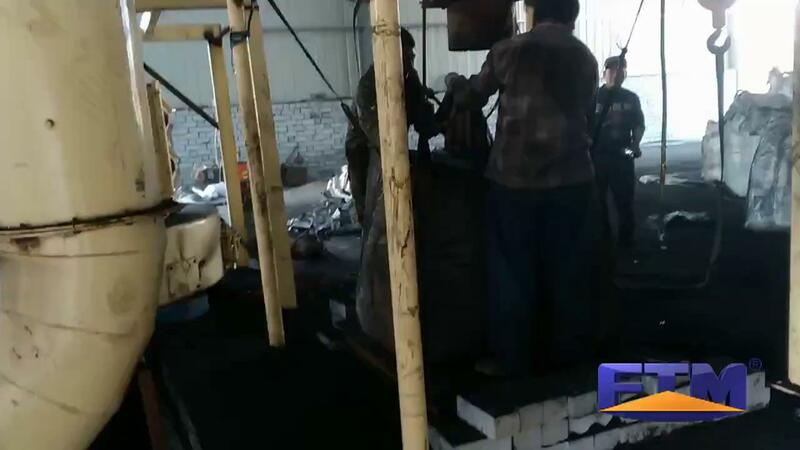 When the scraper knife and the grinding roller of raymond grinder rotate at the same time, they raise the materials to the space between the grinder roller and ring, forming a plastic layer. 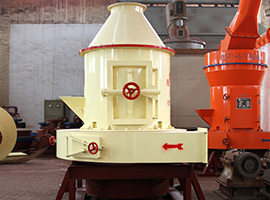 Materials grind each other between in the space between the grinding roll and grinding ring of grinding plant. 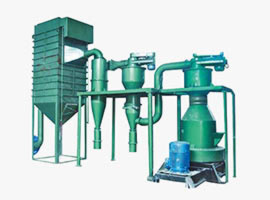 The ground powder is conveyed to the analytical machine by the draught fan and the fine powder with the required fineness will flow to the cyclone collector along with the air flow. Then they are discharged as the finished particles. 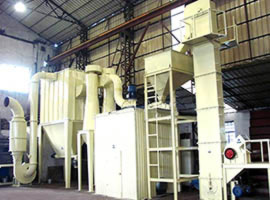 The unqualified powder is thrown out of the external wall of the raymond grinding mill and rough powder falls into the grinding chamber under the gravity force. The whole airflow system is a closed circulation under the positive and negative pressure.